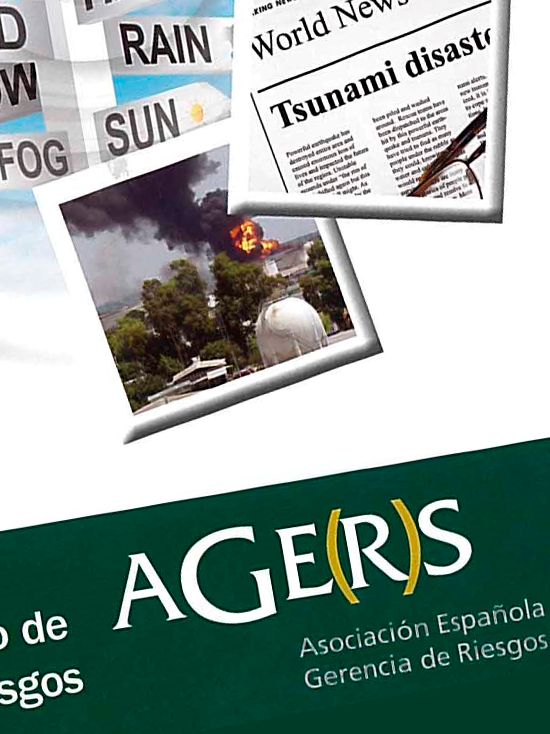 The Asociación Española de Gerencia de Riesgos y Seguros (AGERS) [Spanish Association of Insurance and Risk Management] presented its Natural Disasters Handbook this past 2 December 2015. The handbook is the second in a series of publications - the first handbook dealt with international insurance schemes - that the Association intends to bring out on a yearly basis. The presentation was held in the auditorium of the Dirección General de Seguros y Fondos de Pensiones (DGSFP) [Directorate General of Insurance and Pension Funds], and everyone in attendance was given a complimentary copy. The purpose of the Handbook is to provide a compilation of the risk management view of how to approach natural disasters and natural disaster insurance coverage. With this in mind, AGERS set up a broad-based working group composed of the risk managers of some of the companies that belong to the Association. From a methodological standpoint, the working group held a number of meetings to consider the questions relating to natural disaster insurance with insurance and reinsurance companies separately; with insurance brokers; with claims adjuster firms; with specialized law firms; and with the Consorcio de Compensación de Seguros (CCS) itself. As regards the CCS, the Handbook makes plain that the views and comments set out in the text as published are wholly independent of the CCS and that the said agency took part, at AGERS’s request, to be able to put forward its own views on the legal regulations, management procedures, and technical aspects of concern to our Association and to insuring what are known in Spain as “extraordinary risks”. The Handbook begins by discussing the size of the main natural disasters that took place worldwide in 2014, then considers how the insurance sector in each country (public and/or private insurance markets) responds to such disasters, and concludes by analysing the system in Spain under the CCS, which is characterized by being a wholly public system of coverage with involvement of the private insurance sector in management of the Fund. The Handbook regards the Spanish system as being comparatively more advantageous than the systems of other countries, chiefly because it provides broader coverage (property loss, personal loss, and monetary loss) with regard to more perils (covering, in addition to natural damage, damage resulting from political and social acts such as acts of terrorism) and because it affords legal certainty and stability over time. On that basis the Handbook focuses on the CCS in its role as a public institution complementary to the private insurance sector fully integrated into Spain’s insurance system while recounting its establishment in 1940 as an original response by the insurance sector to the material and personal consequences of the Spanish Civil War and to its current status as a public business entity subsidiary to the DGSFP. After recapitulating the economic status of the CCS based on the figures for claims processed, indemnities paid out, income, and claim rates published in its annual report for 2014, the Handbook goes on to address the legal and technical aspects of this coverage, such as the definitions of the perils covered, the rate used to calculate the surcharge paid to the CCS for such coverage, and the consequences of late payment of the surcharge, along with commentary regarding interpretations of the various aspects. The Handbook closes by setting out 37 of the most relevant conclusions - in some cases in the form of recommendations - by the risk management working group. Among the many issues of interest dealt with, the conclusions note the increase in natural disasters in recent decades; the resulting need to take preventive measures as well as the need for suitable risk management to lessen economic impacts; and the situation in Spain, where the existence of the CCS contributes to insurance solutions, subject to the necessary knowledge of and compliance with the special legal regulations governing the CCS and extraordinary risk insurance.